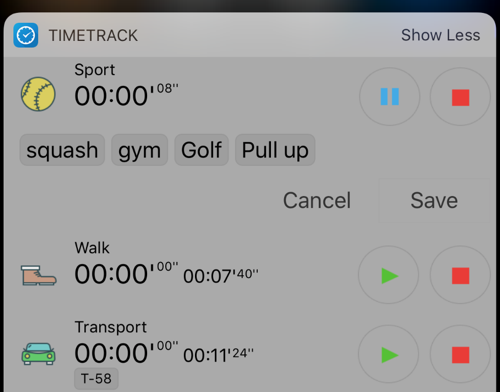 We are pleased to introduce our newest version of the best time tracking app in the App Store. There are a lot of new features which we believe you will really like. Now types can also be tagged. A tagged type means that all logs for this type will have type tags. For example, you can tag "useful" and "useless" activities and then see stats for them. You can now select weekdays for daily goals. An example is "daily work" goal - you can now exclude "Saturday" and "Sunday". If you finish work or study after midnight, this feature is for you. Statistics will count for your day. Go to Settings, scroll down and change the "Day start" value. Want to set a goal for the whole year? Now you can! If you often enter the same time log manually, this small improvement will save your time. You can now set Default type and duration in Settings. When a logged activity is automatically saved to calendar, it is saved with a title equal to the name of the activity type. Now it is possible to save a comment instead. 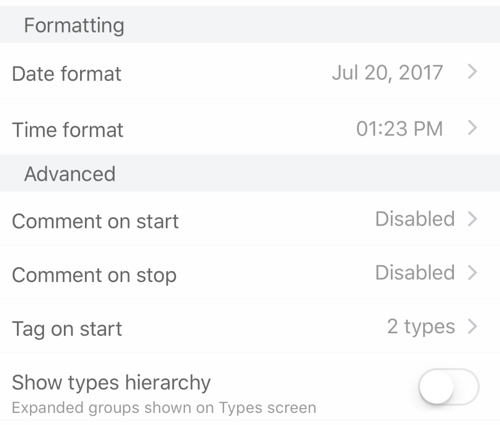 Check "Save comment to calendar" in calendar settings. In some cases, users need groups only for structured statistics. 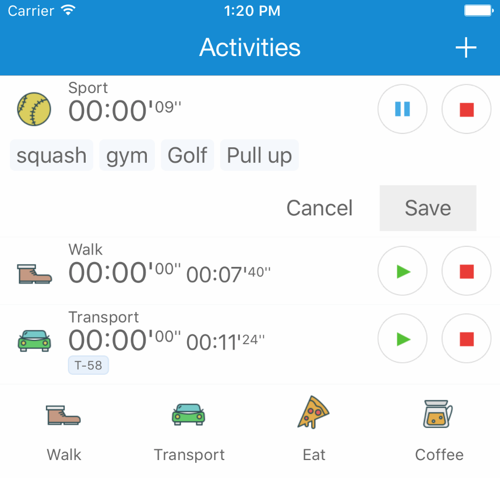 In the activities tab or in the widget, these users want to see a plain list of types without groups. That is the purpose of this setting.